Beth El holds special children’s services on both days of Rosh Hashanah, on Yom Kippur, and on one Saturday per month during the school year. These services give kids a chance to learn about prayers in a relaxed, fun environment. 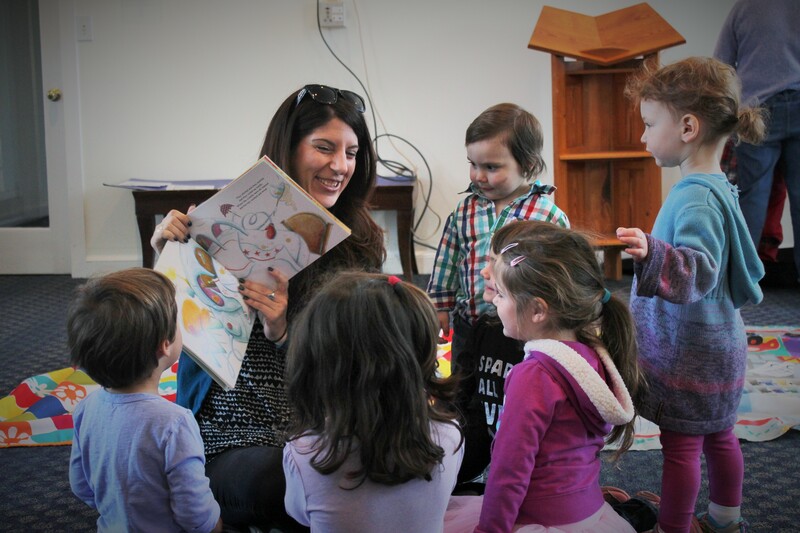 Tot Shabbat, geared for kids aged four and younger, meets from 10:30-11:15 am. Kids get plenty of chances to move around during the service. Every child also gets a chance to take a stuffed Torah out of the ark, squeeze it, and dance around with it, and the Tot Shabbat Torah processional and recessional is widely considered to be a (very cute) highlight of the service. Jr. Jr. Congregation, geared for children grades K-2, meets from 10:30-11:30 am. Members of the Jr.Jr. Congregation listen to stories, say prayers (with hand motions! ), and practice getting up in front of the group and leading prayers. Junior Congregation, for kids in grades 3-6, meets from 10:30 am-12:00 pm. This mini-minyan goes through morning prayers and does activities related to the parashah (weekly reading). At the end of each session, we read a chapter from the Wise Men of Chelm. For more information about children’s services, contact Elisabeth Albert Gerson. You may also check the calendar for upcoming events.